Former Mayor of San Francisco and Lt. Gov. Gavin Newsom was sworn in as California’s 40th governor on Monday to the backdrop of serene gospel music provided by Compton-based choir Voice of Destiny. 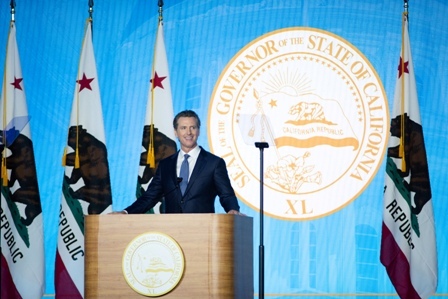 Newsom’s first speech as governor touched on his vision for California and his plans to keep the Golden State in the national spotlight.